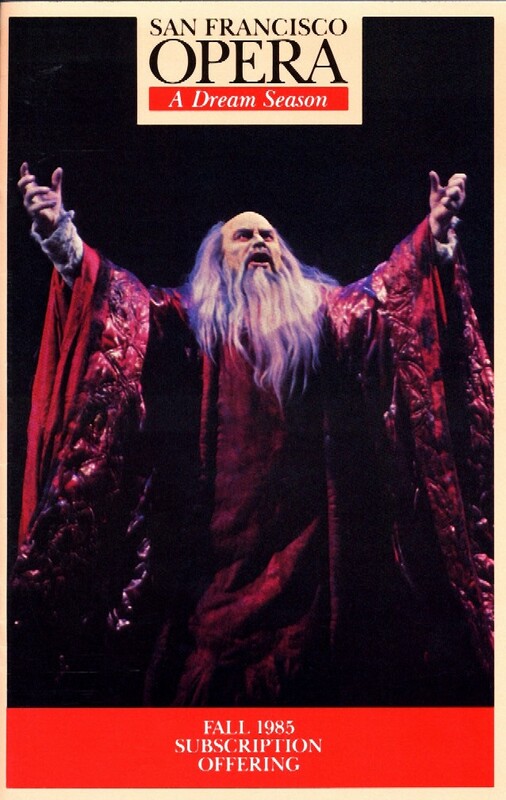 After 1984, George did not have the opportunity to meet Pavarotti in person again, though the tenor continued to perform regularly at the San Francisco Opera. This was the guide to the 1985 season. 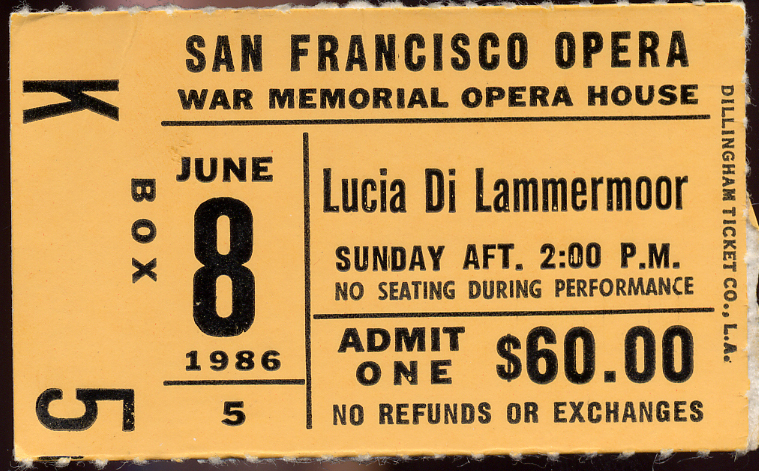 Operas included Turandot, Falstaff, Un Ballo in Maschera and Der Rosenkavalier. Marilyn Horne and Placido Domingo were among the performers that season. His parents asked, "Are we invited to the party too?" George shook his head and sternly replied, "I said, Pavarotti, Placido Domingo, Marilyn Horne, Joan Sutherland, and Leontyne Price." 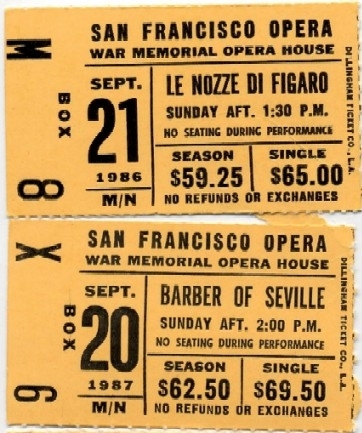 The 1986-87 seasons' operas included The Barber of Seville, Le Nozze di Figaro and Lucia di Lammermoor. Dame Joan Sutherland, a famous coloratura soprano who was well-known for her role as Lucia, was one of the people George was to meet. On the opening night, she became ill and was replaced by an understudy.